There was a bag of organic limes in my fridge that were soon going to expire. Originally I was going to make strawberry limeade, but this never happened and wanting to use them up I decided to make Key Lime Pie. 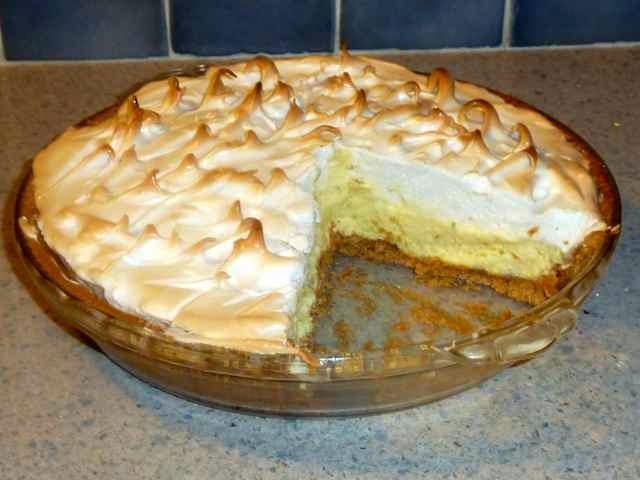 I know it is not exactly Key Lime Pie season anymore, but I am so excited about the graham cracker crust that I am posting this recipe anyway. Gluten free graham cracker crusts that are ready made are expensive and so are the boxes of GF graham cracker cookies. The cookies seem especially wasteful, to buy them just to crush them into a crust. 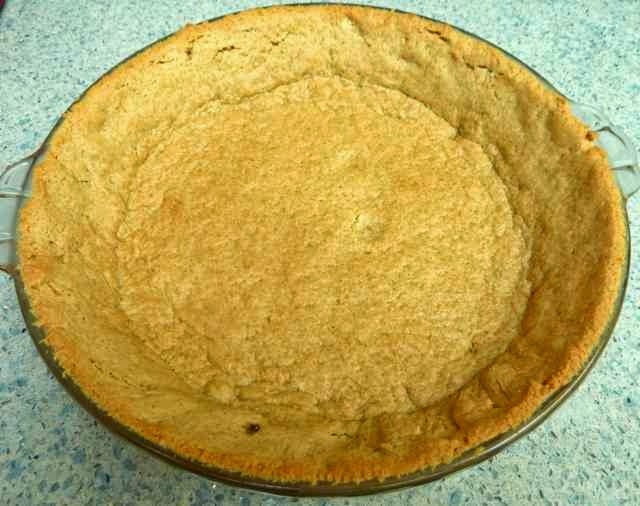 I thought, why not make some graham cracker dough and just bake it in a pie crust and save lots of money? So I did just that. The crust came out wonderful. So much better than the crust from crushed cookies. It is tender and delicious and holds together well. It was a bit difficult to get the bottom crust out in one piece, so I would suggest lining the bottom of the pie pan with parchment paper. The sides were no problem, they held together and stayed in place when transferring a piece of pie to a plate. If I had room in my freezer I would have made two crusts and frozen one, still raw, for later use. If you have room in the freezer this would make very fast and easy to bake a graham cracker crust when you need one. 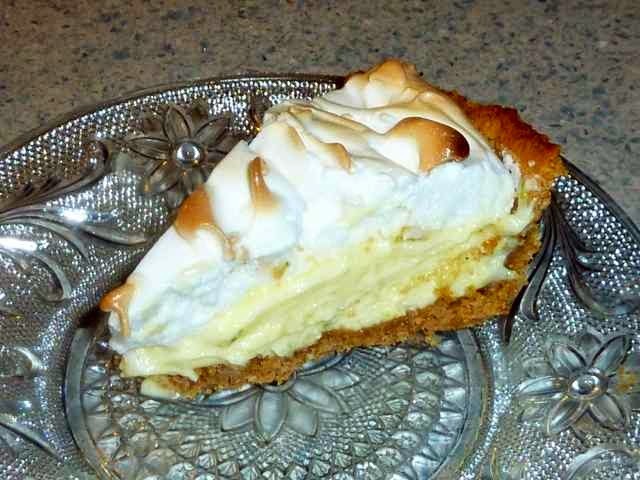 Key Lime Pie originated in Key West Florida where they have key lime trees. Key limes are tarter and smaller than regular limes. Not common where I live, most of us here use regular limes. Not being familiar with the real key limes, I cannot speak to the differences in taste. 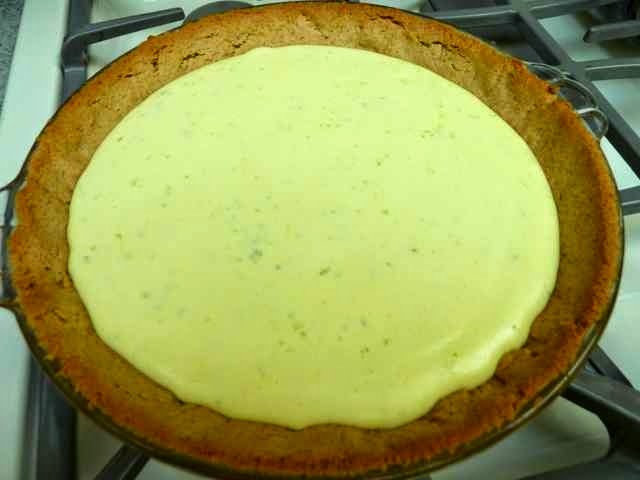 This Key Lime Pie recipe is a traditional one. Next time I may make one that adds some cream cheese or sour cream to the batter. I made a meringue topping with the egg whites left over from the filling. 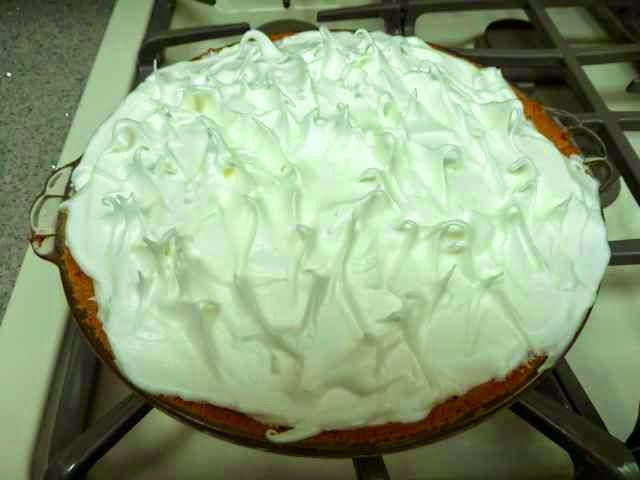 Some people prefer a whipped cream topping on this pie. Preheat the oven to 325 degrees. Line the bottom of the pie pan with a circle of parchment paper. In a large bowl or the bowl of a stand mixer, add the butter & sugar and cream together well. Add the water, vanilla & honey and mix together. I put it in the freezer, wrapped in plastic, for 10 minutes before rolling it out. If the dough is very sticky, put in the refrigerator for an hour or the freezer for 10-15 minutes before rolling. If not too sticky, place the dough between two sheets of plastic wrap and roll out to 1/8-inch to 1/4-inch thickness, depending upon how thick you like your graham cracker crust. Dough rolled out between 2 pieces of plastic wrap. Remove the top piece of plastic or wax paper and invert the dough into the pie pan. With the plastic or wax paper still on the dough press the dough evenly on to the bottom and sides of the pie pan. Remove the plastic or wax paper and trim the dough so that it is even with the top of the pan. Prick the dough with a fork on the bottom and sides. (I forgot to do this and it was fine. It puffed up and then deflated without any incidents.) 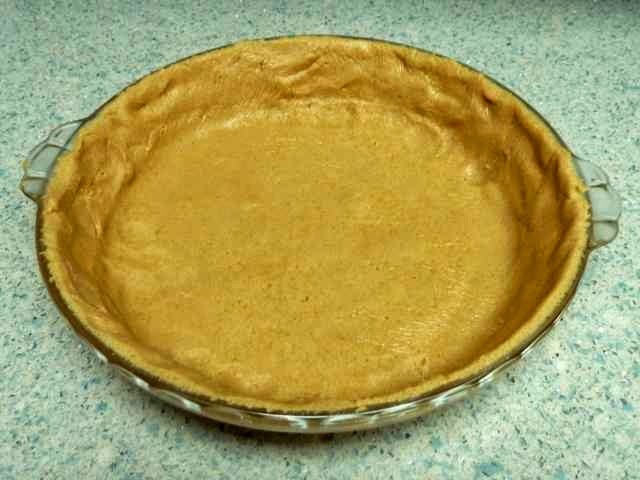 It is also a good idea to put the pie crust in the freezer for 10 minutes before you bake it, to help keep the shape. Raw dough pressed into pie pan and trimmed around the top edge. Cool in the pan while you make the pie filling. 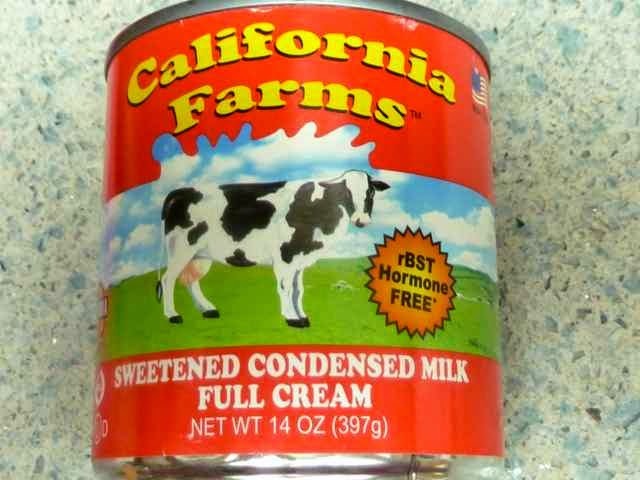 I used a condensed milk made with milk without rBST hormones. 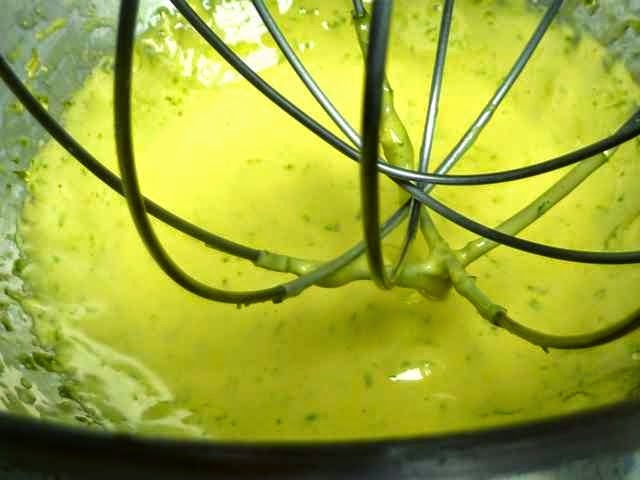 In a stand mixer or in a large bowl with an electric hand mixer, add the egg yolk and lime zest and beat at high speed until very fluffy, about 5 minutes. 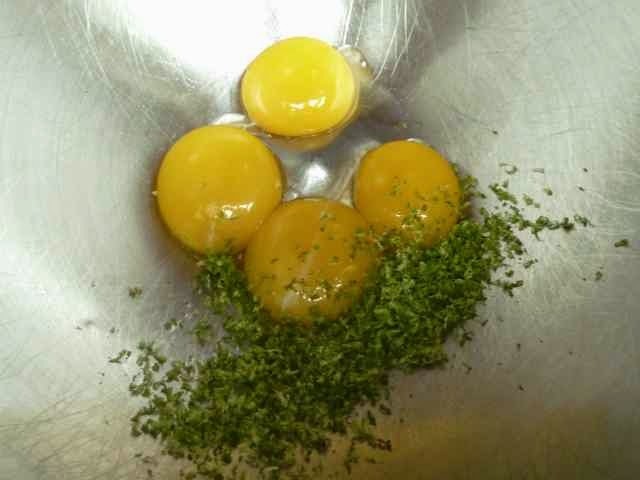 Egg yolks and zest in bowl of mixer. Whipped egg yolks and lime zest. 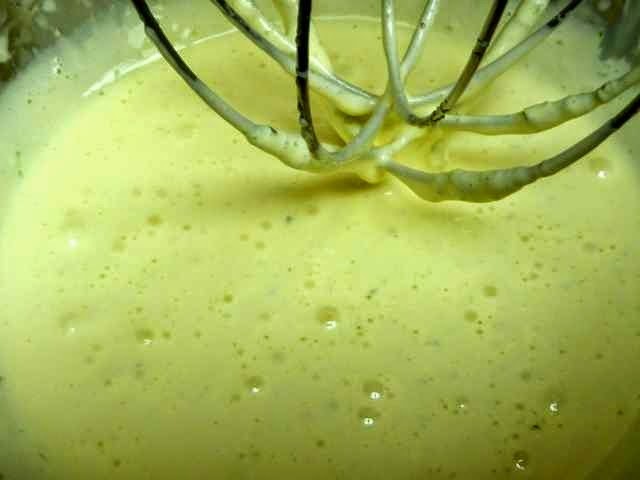 Gradually add the condensed milk as you continue to beat the mixture. Beat another 4 minutes or so until thick. After the condensed milk was mixed in. Lower the mixer speed to low and slowly add the lime juice. Mix until just combined and no longer. Filling after the lime juice as mixed in. Pour the lime mixture into the pre-baked crust and bake another 10 minutes at 350 degrees. The filling should be just set. Unbaked filling in the pre baked pie crust. Filling after being baked for 10 minutes until set. With and electric mixer beat the egg whites until foamy. Add the cream of tarter and sugar. Beat on high speed until stiff peaks form. Spread the whipped egg white mixture over the top of the pie filling. Take care to spread the meringue all the way to the crust, sealing in the lime filling. This will keep the meringue from shrinking while it bakes. Merengue spread over top of cooked filling. 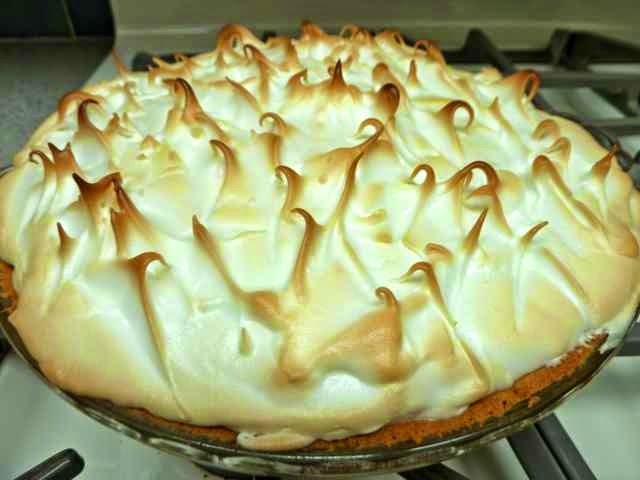 Note that the meringue goes all the way to the edge of the pie. I made little peaks all over the top of the pie by using a silicone spatula. The spatula was gently dipped into the egg whites and lifted up to form a peak. Repeat this all over the top of the pie. Or you can make a smooth flat top by spreading the merengue with the spatula. Bake for 5-8 minutes or until the meringue is lightly browned. After the first 4 minutes keep checking the meringue every minute to make sure that it does not burn. Cool the pie at room temperature for an hour and then cover and chill for 2-3 hours or overnight in the fridge. 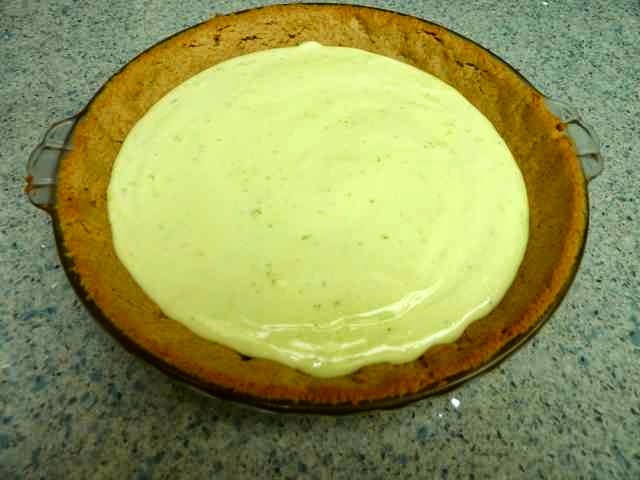 GLUTEN FREE KEY LIME PIE Makes one 9-inch pie glutenfreebakingbear.com GRAHAM CRACKER CRUST Ingredients 1/2 cup + 2 Tbs. Sorghum Flour 1/4 cup Chickpea Flour 1/4 cup Tapioca Flour 1/4 tsp. Xanthan Gum 1/2 tsp. GF Baking Powder 1/4 tsp. Baking Soda 1/4 tsp. Sea Salt 3 1/2 Tbs. 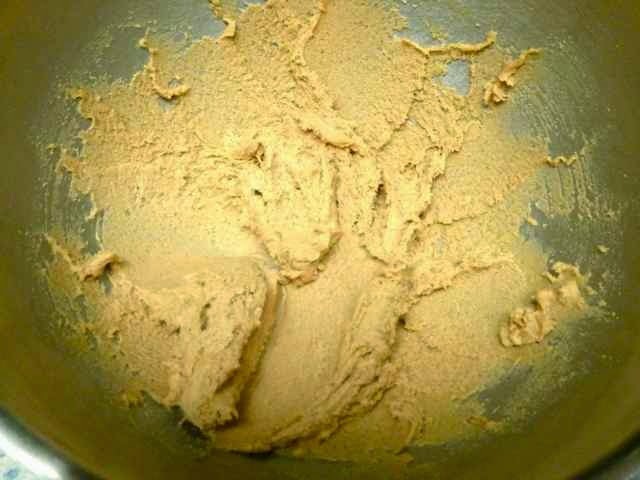 Unsalted Butter 1/4 cup Brown Sugar - packed 1 1/2 Tbs. Cold Water 1 1/2 Tbs. Honey 1/2 tsp. Vanilla ExtractDirections Preheat the oven to 325 degrees. Line the bottom of the pie pan with a circle of parchment paper. In a bowl add the flours, xanthan gum, baking soda, baking powder and salt. Mix together until well combined. Set aside. 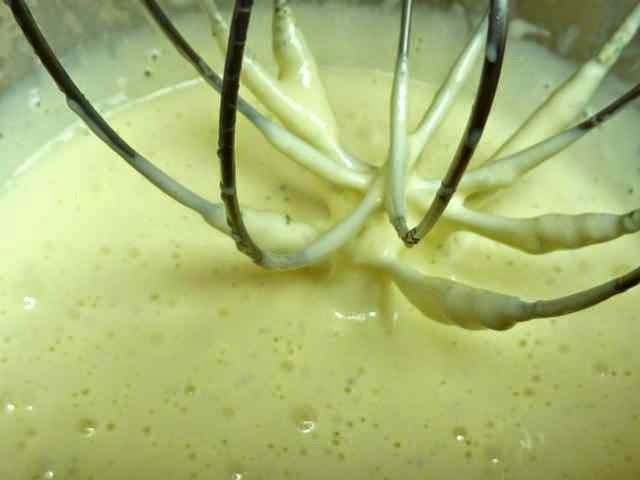 In a large bowl or the bowl of a stand mixer, add the butter & sugar and cream together well. Add the water, vanilla & honey and mix together. Add the flour mixture all at once and mix well. If the dough is very sticky, put in the refrigerator for an hour or the freezer for 10-15 minutes before rolling. If not too sticky, place the dough between two sheets of plastic wrap and roll out to 1/8-inch to 1/4-inch thickness, depending upon how thick you like your graham cracker crust. Remove the top piece of plastic or wax paper and invert the dough into the pie pan. With the plastic or wax paper still on the dough press the dough evenly on to the bottom and sides of the pie pan. 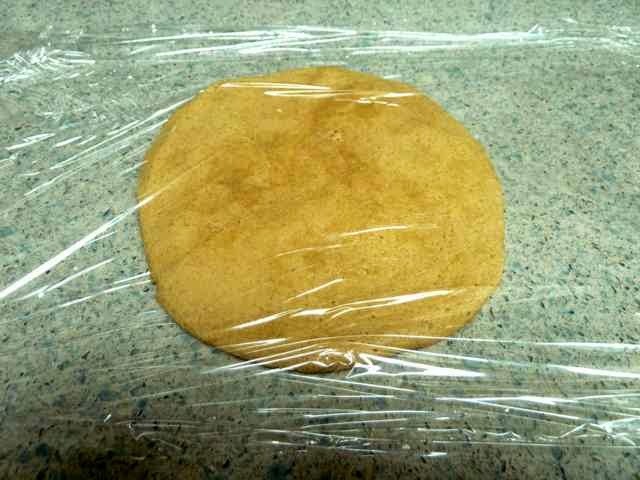 Remove the plastic or wax paper and trim the dough so that it is even with the top of the pan. Prick the dough with a fork on the bottom and sides. (I forgot to do this and it was fine. It puffed up and then deflated without any incidents.) Bake 10-13 minutes until golden brown. Cool in the pan while you make the pie filling. FILLING Ingredients 4 large Egg Yolks 2 tsp. Lime Zest (zest the limes before you juice them) 1 (14 oz. 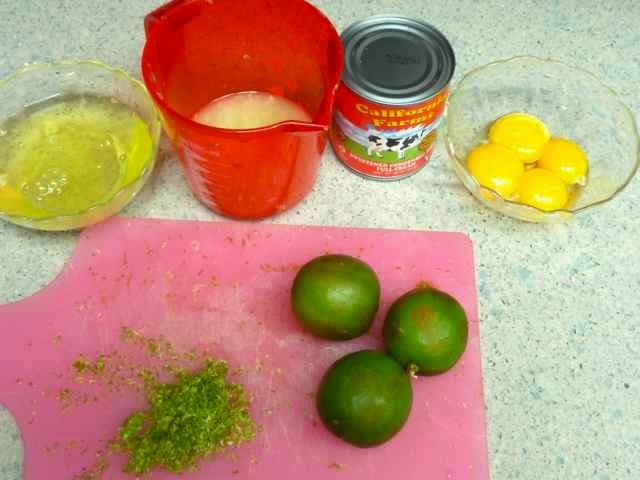 can) Sweetened Condensed Milk 2/3 cup Fresh Squeezed Lime Juice (Use Key Limes if you can) Directions Raise the oven temperature to 350 degrees. In a stand mixer or in a large bowl with an electric hand mixer, add the egg yolk and lime zest and beat at high speed until very fluffy, about 5 minutes. Gradually add the condensed milk as you continue to beat the mixture. Beat another 4 minutes or so until thick. Lower the mixer speed to low and slowly add the lime juice. Mix until just combined and no longer. Pour the lime mixture into the pre-baked crust and bake another 10 minutes at 350 degrees. The filling should be just set. Cool on a wire rack. Meringue Topping Ingredients 4 large Egg Whites 1/4 tsp. Cream of Tarter 2-4 Tbs. Sugar (sweeten to taste) Directions Increase the oven temperature to 400 degrees. With and electric mixer beat the egg whites until foamy. Add the cream of tarter and sugar. Beat on high speed until stiff peaks form. Spread the whipped egg white mixture over the to of the pie filling. Take care to spread the meringue all the way to the crust, sealing in the lime filling. This will keep the meringue from shrinking while it bakes. Bake for 5-8 minutes or until the meringue is lightly browned. After the first 4 minutes keep checking the meringue every minute to make sure that it does not burn. Cool the pie at room temperature for an hour and then cover and chill for 2-3 hours or overnight in the fridge.